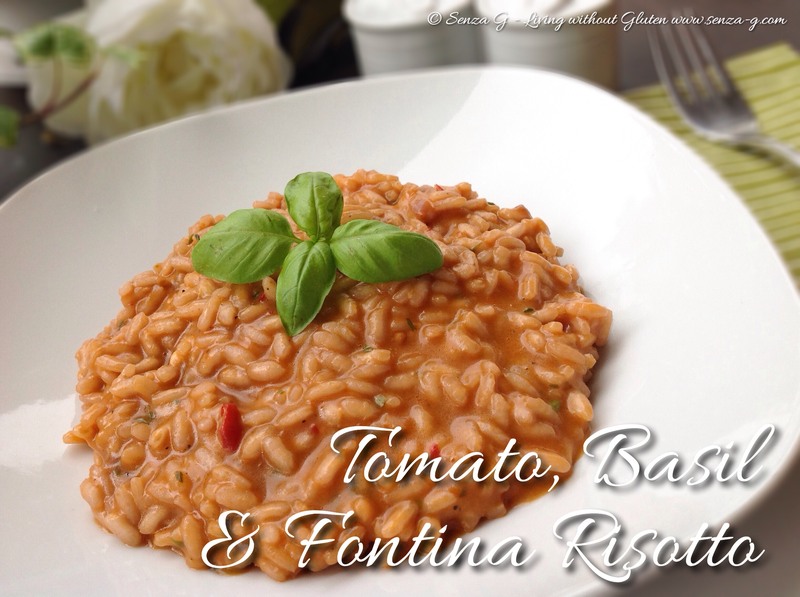 Lovely summer flavors can be found in this risotto! 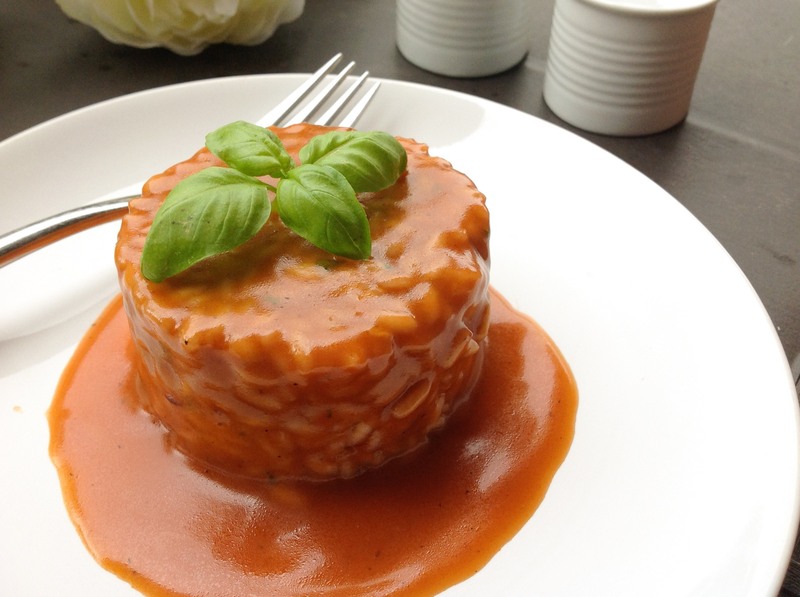 You can serve this as an elegant starter using a ring mold (see photo below) or else normally as a mains. This risotto can be eaten as is or even as a base, that is, it would be lovely with some fresh prawns cooked in garlic, which would then be placed on top of the risotto. Heat the oil in a large pan, saute the onion for 5 to 10 minutes until softened but not browned. Add the garlic, followed by the rice and cook, stirring until toasted. Pour in the wine and keep stirring until it is absorbed. Add a ladle of the vegetable stock and when it starts to be absorbed, add the home made sauce (if serving as a starter in the mold, keep aside some of the tomato sauce). Keep stirring whilst its cooking. Add another ladle of vegetable stock and then add the tomato paste, the bay leaf, the chilli if using, the sugar and a dash of balsamic vinegar. Season to taste. Keep adding the stock, ladle by ladle and let it be absorbed before adding the next. Continue this until the rice tastes al dente. It has to have a ‘bite’ to it. However do not let it dry out. It should have a ‘soupy’ consistency. Remove bay leaf. Add a tablespoon of butter, the grated Fontina and the chopped basil. Combine well, cover and turn off the heat. Leave for a couple of minutes before serving. You can either serve this normally as above, or else pour some risotto into a round mold and then gently remove the mold. See below. Drizzle over some of the sauce that you previously put aside. Garnish with fresh Basil Leaves.